PHUKET: Shark expert Tassapon Krajangdara, a specialist at the Phuket Coastal Fisheries Research and Development Centre, today confirmed that the sea animal that bit and seriously injured an Australian woman’s foot at Karon Beach this week was not a shark. “The shape of the wound is guaranteed not from a shark bite. It is not from a hammerhead shark or any other kind of shark, as some people think,” Mr Tassapon told The Phuket News today. Mr Tassapon believes that the culprit was either a puffer fish, or a trigger fish. 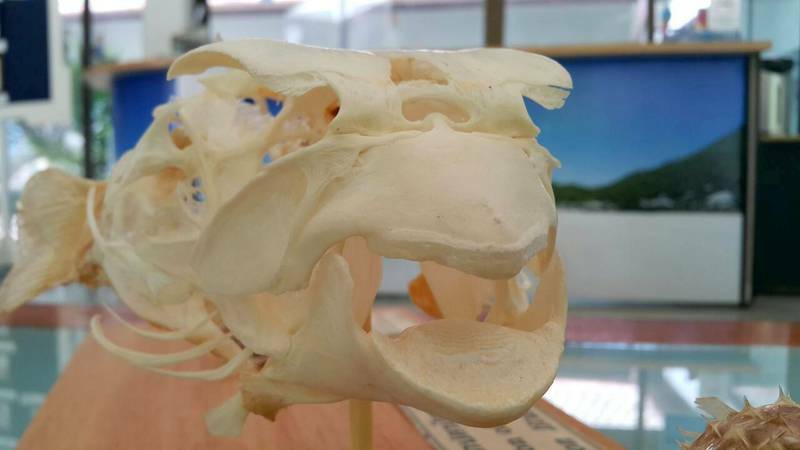 “The wound shows that the teeth that bit her were sharp and it was a straight, clean bite, like those of a puffer fish or a trigger fish,” he said. Lifeguards returned to the area by jet-ski this morning – the same time when Ms Neame was bitten yesterday – and confirmed that large puffer fish were still in the area, not far from a reef. The puffer fish spotted today were about a foot long, he said, not joking. 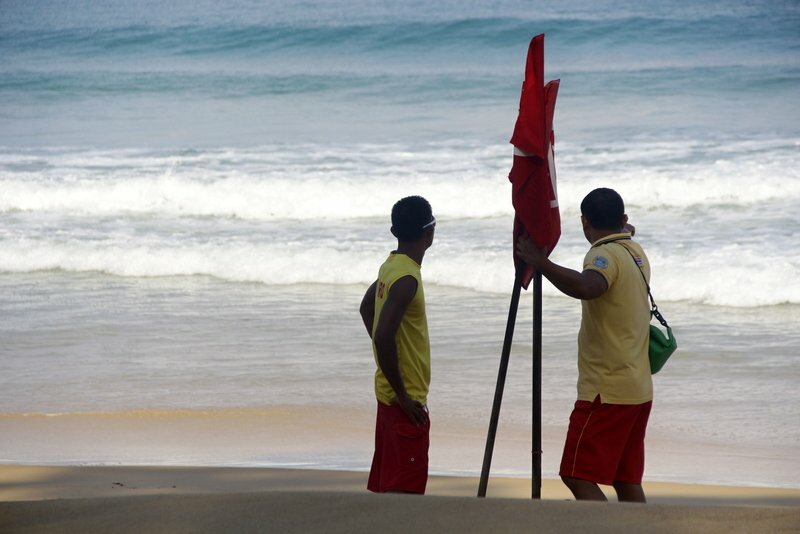 In the meantime, lifeguards have moved the red-yellow flags marking the swimming area at that section of beach further away from the site of the attack. Santi Pawai, the director of the Ministry of Tourism and Sports Phuket office, visited Ms Neame in hospital today. “She looks like she is recovering well. She said that she is not worried about it much, that it was just an accident,” he told The Phuket News. However, Ms Neame is more than six months’ pregnant and has had tendons to two toes severed. Ms Neame, from Brisbane, Australia, was holidaying in Phuket with her partner Robert Passmore. 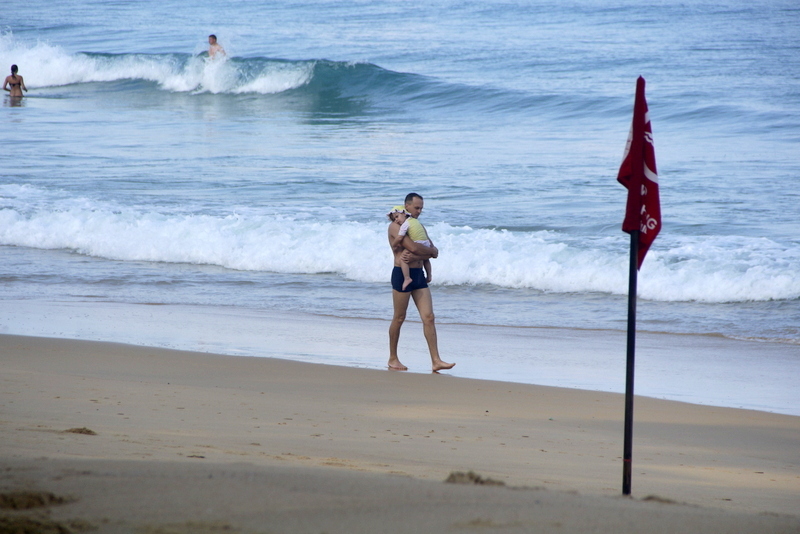 “I was in knee-deep water at Karon Beach just on the waves when I felt pain on the bottom of my foot, then again on the top of my foot,” she told The Phuket News. “It was so quick and I fell over into the waves, and my partner brought me from the water,” she said. Ms Neame has been told to stay in hospital for up to three days so doctors can prevent the wound from becoming infected. Apparently, she will require additional surgery in Australia. Ms Neame confirmed that she has full travel insurance, so her medical costs for the injury are covered. Meanwhile, Mr Santi literally laughed off reports that Ms Neame may have been bitten by a shark. “We don’t get shark attacks here,” he said.